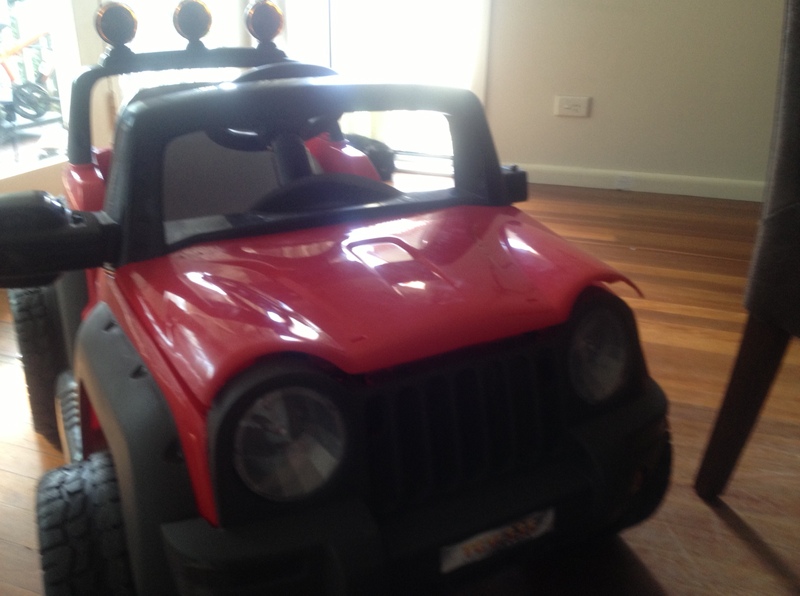 Got a kids ride-in car with no lights or battery indicator? If so this is the project for you. The goal of this project was to create a simple microcontroller board that will control some indicator lights, hazard lights and battery monitor for the kids ride on car below. 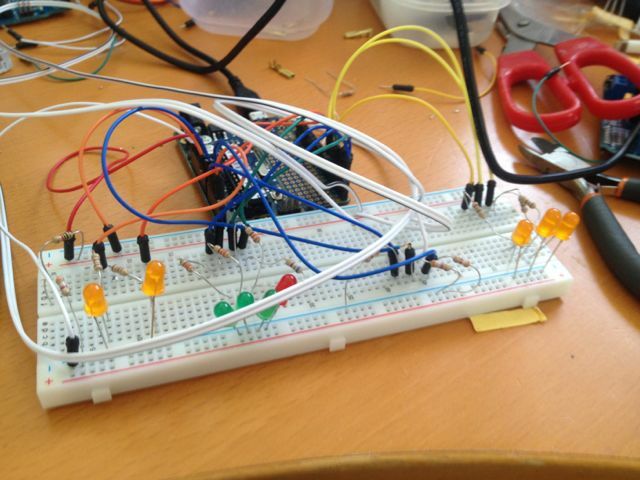 The project uses an ATTiny84 micro controller to control all the lights an monitor the battery level. This can be build on a simple piece of stripboard. Here is the original circuit diagram and stripboard layout. There was a couple of minor change in the final version which we’ll discuss later. Firtzing was used to create the circuit and stripboard layout. The circuit diagram was created first which caused some issues when trying to layout the stripboard. 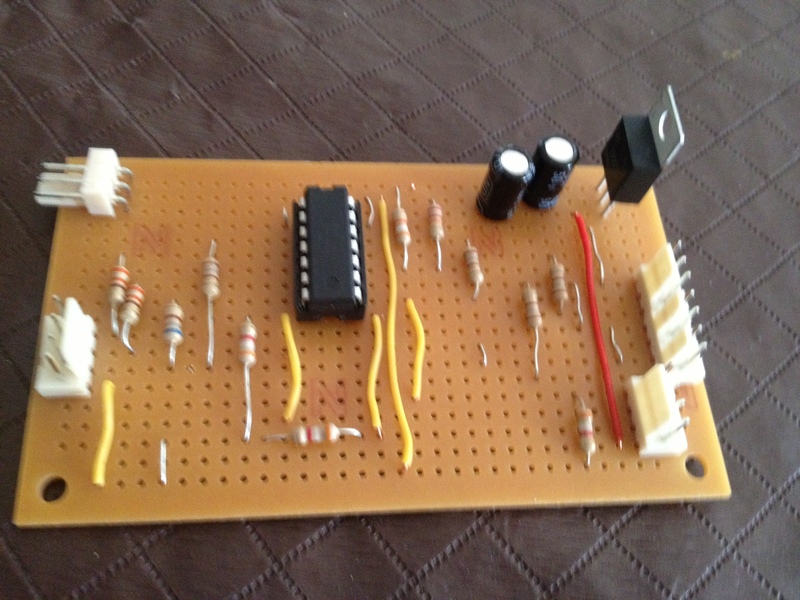 The build was started with a breadboard layout of the LEDs and a potentioner to simulate the battery level. This was connected to a standard Arduino UNO board in order to write the firmware for the ATTiny. The firmware (and circuits) are available from github (https://github.com/markmoro/carelec). The firmware is super simple as its basically blinking some lights so it should be easy for anyone to follow and makes a great introduction to Arduino coding. Once the stripboard layout was built and the ATTiny programmed the the build into the car can be done. We’ve simply taped all the wire runs in the short term but will probably secure them up more in the future. The majority of this build went pretty smoothly, however there were a couple of issues. The first issue was that when plugged into the main car battery the ATTiny kept reseting. We had previously tested using a 8 AA cell battery back so the power was the main suspect. 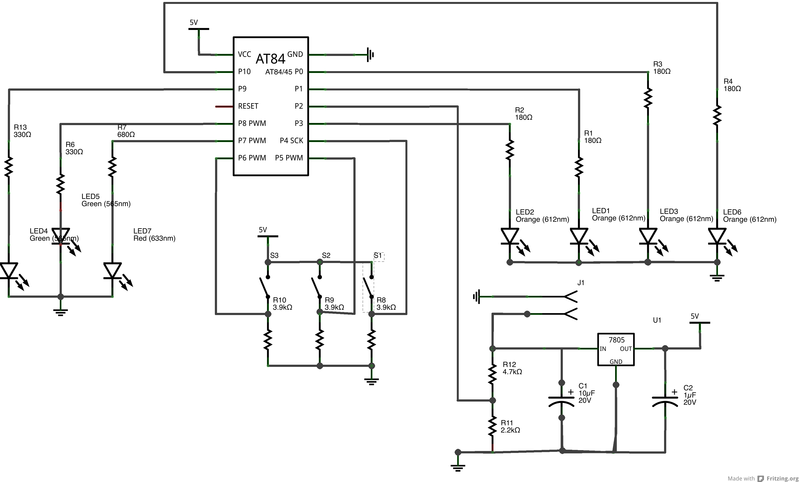 A small value capacitor was placed across the ATTiny’s power and this solved the issue. Its important to note this need so be as close to the ATTinys power pins as possible. The second issue we had was wiring the power on/off to the cars on/off button. The cars on off button seem to have so strange ground wiring (I assume this is for the motor to run back and forward) and it turned out we couldn’t wire the circuit on/off to this. As a simple solution a second switch was added. The main switch could be replaced with a dual-pole version however we will probably not do this.